If you can't tell, this is very much a sequal to the original "Rock Band" but with a few more features. It's a continuation from the origional game that introduced guitars, microphones, and the all new drumset to all work together to create the "perfect" band. 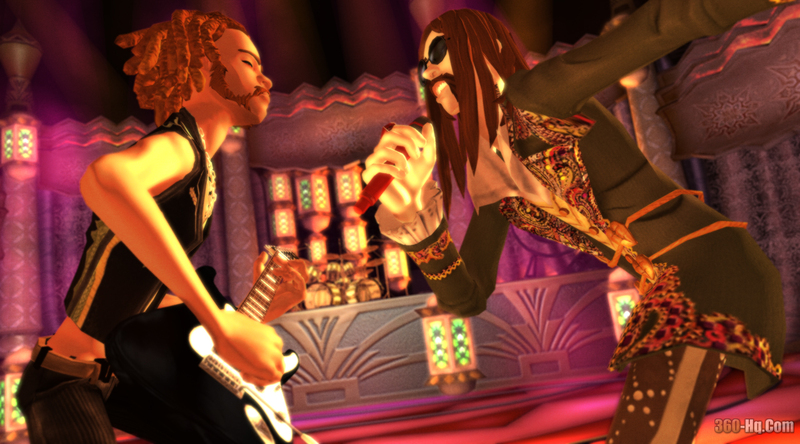 "Rock Band 2" is all about the music. You can take a solo career in any of the insturments, get a group of friends over and make a band, or go online and play in a band or even have battles. Of course, there's 4 different levels of play: Easy, Medium, Hard, and the all known Expert. Practice makes perfect, so if you feel like you are getting 100% on the songs way too much, then go up a level. Of course, each of the songs has there own skill level depending on the insturment. While one might be easy on guitar, the drummer could be flailing his arms in a frantic fury. But don't sweat, it's all out of good fun. Of course you have the stars, and your gig tours and everything else from the original "Rock Band". What game wouldn't be complete without it. The mystery setlists, the around the world locations, and of course, the fans. The better you play, the more fans you get. But remember, you can only get so many fans before you have to go up a level, and don't worry about losing them, because once you get better, you'll have them back in no time. The graphics in "Rock Band 2" are a little more improved than it's counter part. Also, there are many more ways to design your character once you get enough money and unlock all the clothes. The colors are very vivid, which draws your attention in. You won't want to look away. There's always something changing in the back ground, and it's never a fuzzy picture...unless you've been playing so much your eyes are glazed over. Even though this game is a little cartoonish, it still has it's life-like scenarios. If you pay close attention, the characters as you play your notes, will be playing the actual notes to the song. Pretty nifty huh? 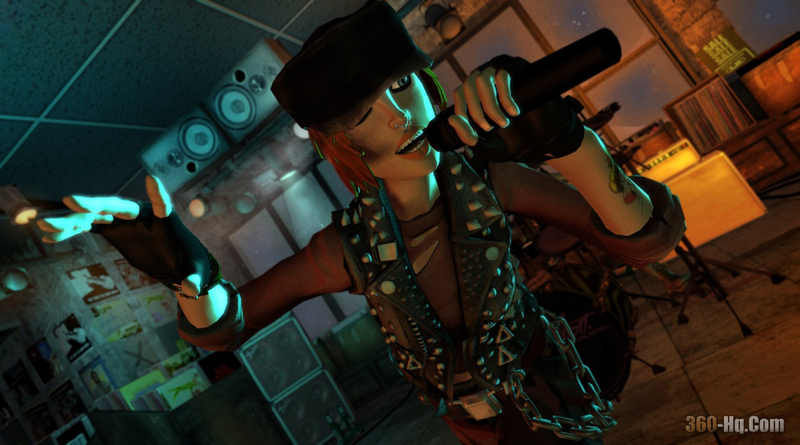 I can't find anything bad to say about the sound in "Rock Band 2". You will be addicted to playing music from your favorite bands, and even your favorite songs. If you can't hear it very well, turn the TV up, and that'll drown out some clicking from the guitars, and banging from the drums. Heck, if you think your voice isn't as up to par as others, you can even change the settings to where you hear the actual singer, and not so much of your own voice. Of course, wheres the fun in that? Remember though, if you miss a note or two, you get that dreaded beep, but hey, nobody's perfect. I'm sure the actual band can't get it right every time. This game is by far one of the best games around if you want to kick back and relax. You don't have to worry about sneaking around corners to shoot someone in the back, and you don't have to figure out special puzzles to get anywhere. All you have to do, is pick up a guitar, a microphone, or a set of stick, and start rocking your heart out. NFL Head Coach 09 is a unique NFL experience that gives gamers the power to make decisions that define their career and ultimately the fate of their franchise as a head coach in the NFL. The game prov..